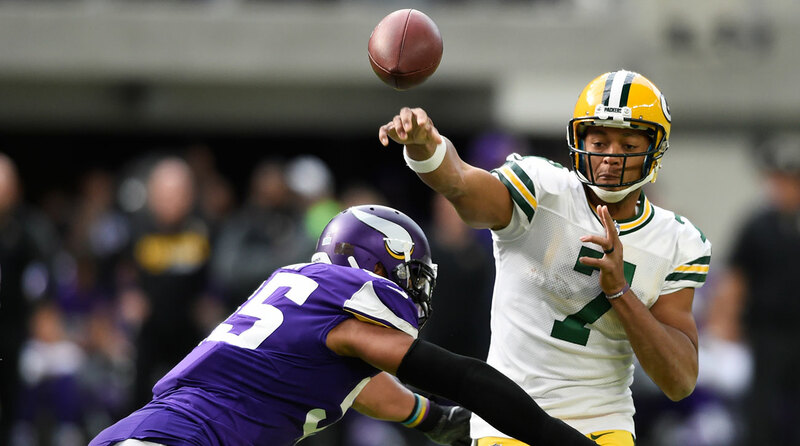 Brett Hundley is finally getting his NFL shot. The longtime Aaron Rodgers understudy was elevated to QB1 last Sunday after Rodgers suffered a broken collarbone that could keep him out for the rest of the season. 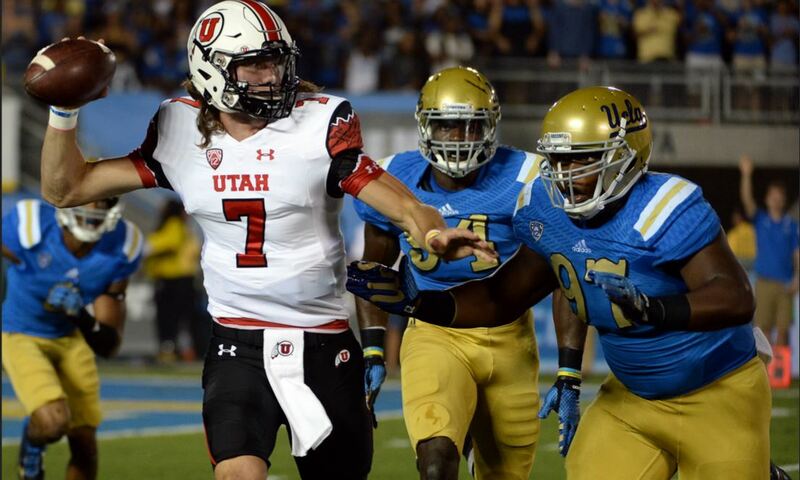 After entering the game in the first quarter, Hundley threw an interception on his first pass attempt. He finished with 157 passing yards on 18-for-33 passing, one touchdown and three interceptions in Green Bay’s 23-10 loss to the Minnesota Vikings. Linebacker Myles Jack had a tough introduction to the heat and humidity in Florida where he made the rookie mistake of coming to practice wearing a long-sleeved shirt. He soon ditched the sleeves. The Jaguars website has a video practice report on Jack. “It’s like the first day of school.” – @MylesJack. Some of the UCLA draft prospects still available heading into the final day of the 2016 NFL Draft. 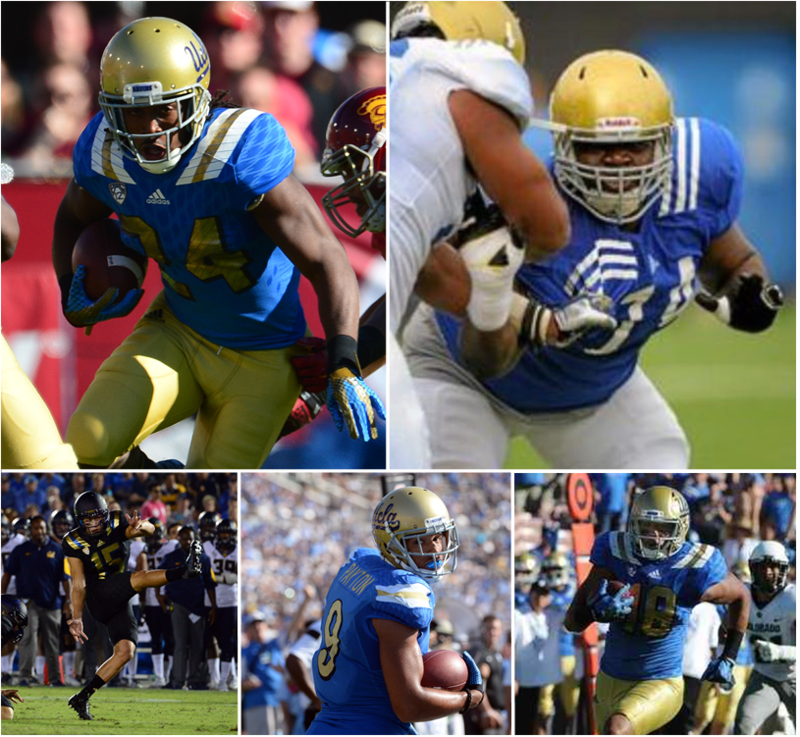 Clockwise from top left: Paul Perkins, Caleb Benenoch, Jordan Payton, Thomas Duarte, Ka’imi Fairbairn. Photos by Keith Birmingham (Pasadena Star-News) and Michael Owen Baker. Out of nearly a dozen potential draft picks, UCLA has nine players still waiting to hear their names called heading into the final day of the draft. Rounds four through seven start at 9 a.m. on Saturday on ESPN and NFL Network. Myles Jack‘s long wait ended Saturday as the linebacker went to Jacksonville to form a super duo of defensive rookies with cornerback Jalen Ramsey. Kenny Clark was the first Bruin off the board as he went to Green Bay on Friday in the first round. Photos of Clark throughout the years. How many total draft picks do the Bruins end up with by the end of Saturday? 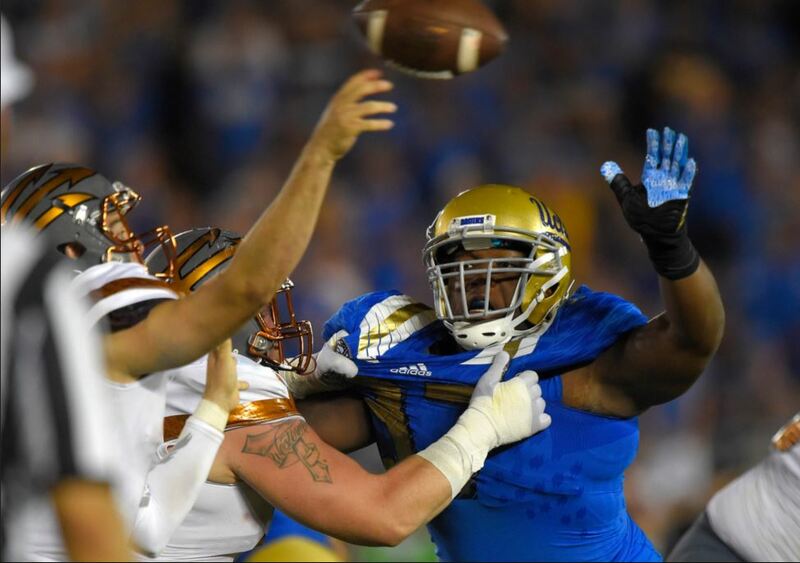 Here are photos of Kenny Clark, who was drafted by Green Bay yesterday, during his UCLA tenure and the NFL Combine. In one of many twists in Thursday’s NFL Draft, the first UCLA Bruin off the board was not linebacker Myles Jack. As Jack sat in the green room in Chicago, he heard former teammate Kenny Clark‘s name called as the 27th pick overall by the Green Bay Packers. Pete Marshall was on hand in Highland for Clark’s draft party — read his story here.